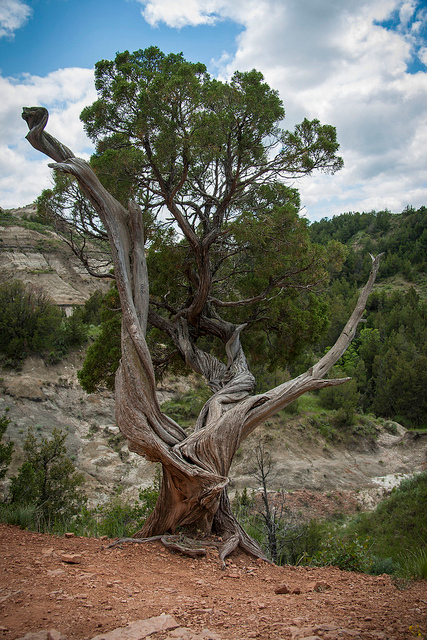 Twisted tree in Theodore Roosevelt National Park in North Dakota; photo by Courtney Ficek on Flickr (noncommercial use permitted with attribution / share alike). Here we pledge ourselves to thee. We will serve thee all our days. Brave the soul that in thee lies. In our hearts forever long.